If the pay per view model is to be followed correctly, no matter how massive the main event is, there should always be some intriguing, well-matched fights on the undercard. This weekend, from the T-Mobile Arena in Las Vegas, Nev., we will see middleweight champion Gennady Golovkin square off with former champion Saul Alvarez (aka “Canelo”) in a big rematch that is worth the wait. It’s hard to really describe the kind of bad blood that is taking place or has already taken place between the two camps over the past six months, but it’s made for an exciting pre-fight buildup. But that doesn’t mean there won’t be others who have a lot on the line when Canelo and “GGG” face off on Saturday. One of the undercard fights will see former IBF middleweight champion David Lemieux going up against tough contender Spike O’Sullivan. And while the pre-fight trash talk between O’Sullivan and Lemieux may not have the history that Canelo and Golovkin has, the two men definitely have been going back and forth on social media to make things more interesting. After greeting the fans and the press in Las Vegas on Tuesday afternoon, O’Sullivan and Lemieux spoke out about their big fight. Las Vegas isn’t the only city you can bet on boxing. It’s very popular and at Mississippi sports betting you can find the latest betting tips. 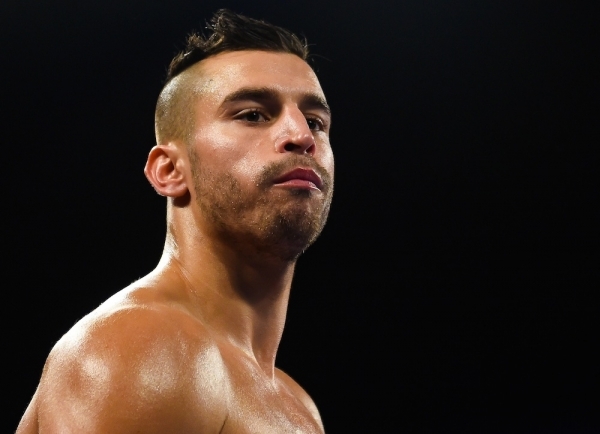 Lemieux is on the comeback trail following a very one-sided loss to Billy Joe Saunders in December. In that fight, a unanimous decision victory for the WBO champion, LEmieux looked befuddled at times and too square on his feet. This is a big opportunity for him to get back some of the luster he lost and he knows it. O’Sullivan, on the other hand, has put together a nice run of fights in winning six bouts in a row dating back to his stoppage loss to Chris Eubank Jr. nearly three years ago. O’Sullivan’s only other loss was a points defeat to Saunders in July of 2013. O’Sullivan then cranked things up a notch, and you can almost hear the disdain he has for Lemieux. This has all the makings of a great undercard fight. Both guys have experience, power, and know that a loss will set them back big time. Should be fireworks.